Every year, this gets harder. Not that deciding what pictures to use in 2006, 2007, or 2008 was all that easy! But astronomy is such a beautiful science. Of course it has scientific appeal: the biggest questions fall squarely into its lap. Where did this all begin? How will it end? How did we get here? People used to look to the stars asking those questions, and coincidentally, for the most part, that’s where the answers lie. And we’ll be asking them for a long time to come. But astronomy is so visually appealing as well! Colorful stars, wispy, ethereal nebulae, galactic vistas sprawling out across our telescopes… it’s art no matter how you look at it. And our techniques for viewing the heavens gets better every year; our telescopes get bigger, our cameras more sensitive, and our robotic probes visit distant realms, getting close-up shots that remind us that these are not just planets and moons; they’re worlds. So every year the flood of imagery takes longer to sort through, and far longer to choose from. And the choices were really tough! This year leans a bit more toward planetary images than usual, but that’s not surprising given how many spacecraft we have out there these days. I don’t pick all these images for their sheer beauty; I consider what they mean, what we’ve learned from them, and their impact as well. But have no doubts that they are all magnificent examples of the intersection of art and science. At the bottom of each post is a link to the original source and to my original post on the topic, if there is one. If you disagree with my picks, or think I’ve missed something, put a link in the comments! All the pictures have descriptions, and are clickable to bring you to (in most cases) much higher resolution version. So embiggen away! 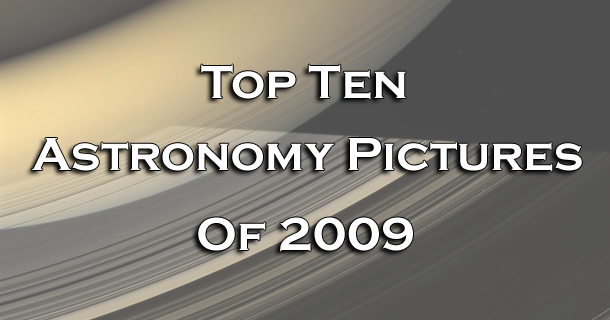 And welcome to my annual Top Ten Astronomy Pictures post. Enjoy.